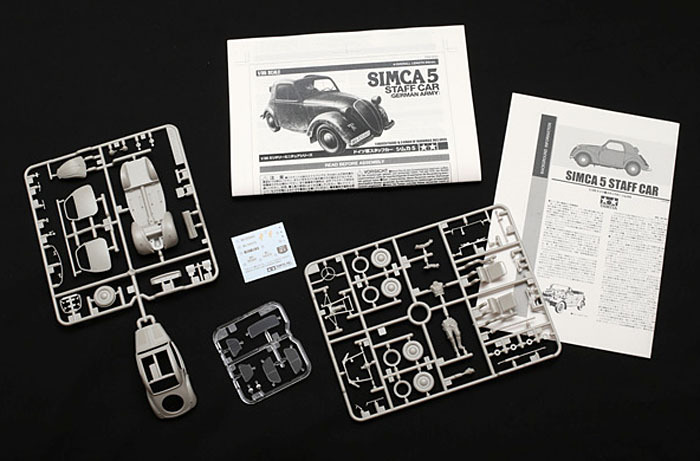 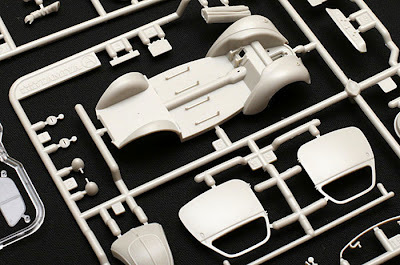 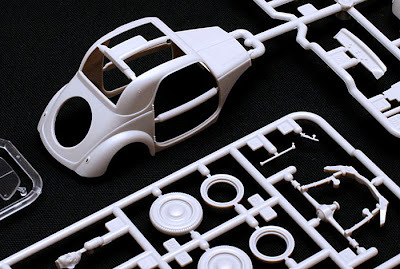 The little Simca is beautifully produced, and well up to Tamiya’s usual high standards. There’s plenty of detail, including a driver figure who looks kinda outsized, but that’s actually because the Simca-Fiat was so small - not for nothing was the Fiat 500 nicknamed Topolino, meaning ‘Little Mouse’. As for components, the picture above shows that the runners hold plenty of parts, many of them tiny enough to need a pair of tweezers for easy handling. 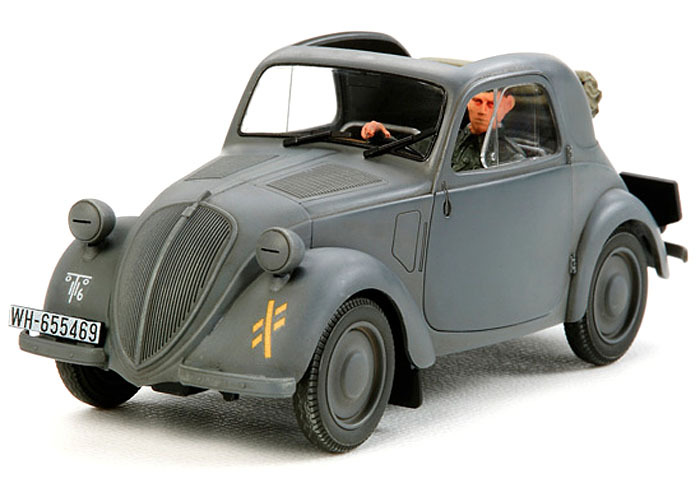 But that’s OK - the result looks excellent when built, and would be a surefire hit if used in a period diorama. 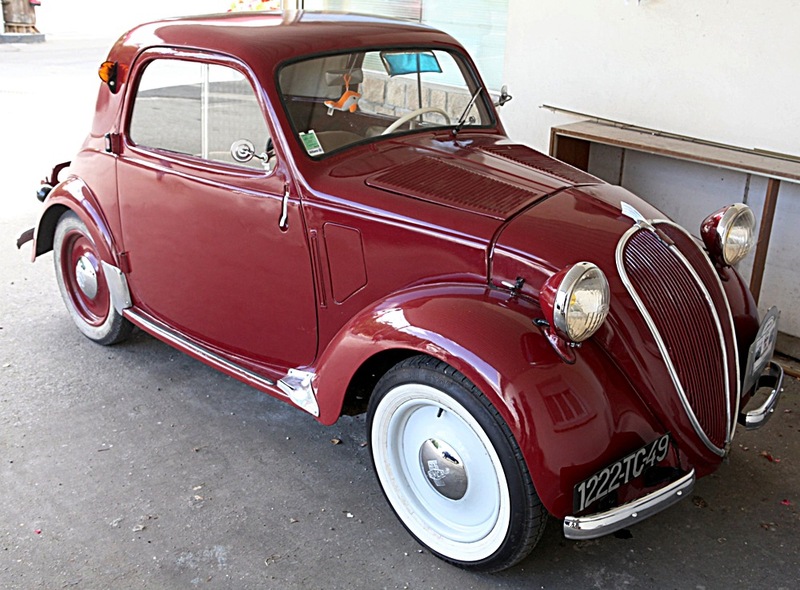 The original Topolino was a big hit for Fiat, with more than half a million being produced by the time production ended in 1955. 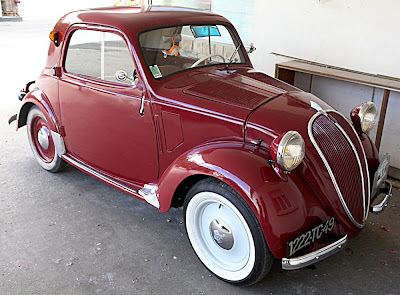 In France, the Simca 5 - real thing shown below - was also a success, though it came nowhere near the production levels of the Fiat 500. 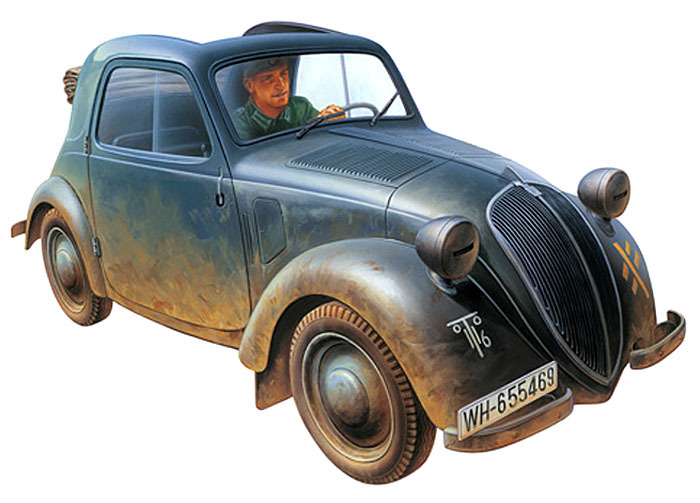 The Simca 5 was made from 1936-1949, during which time, some 46,472 cars were manufactured.